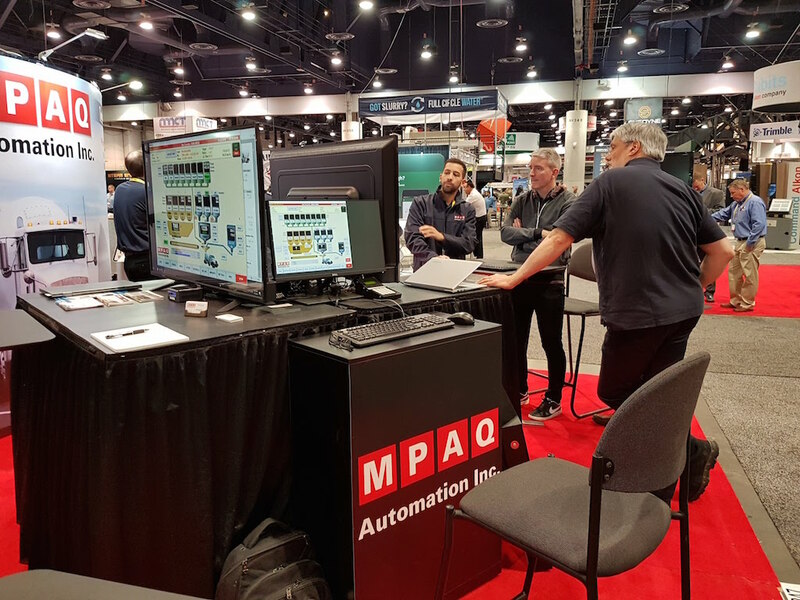 MPAQ is exhibiting Tuesday through Friday at Booth N347 in the Producer Center (North Hall). 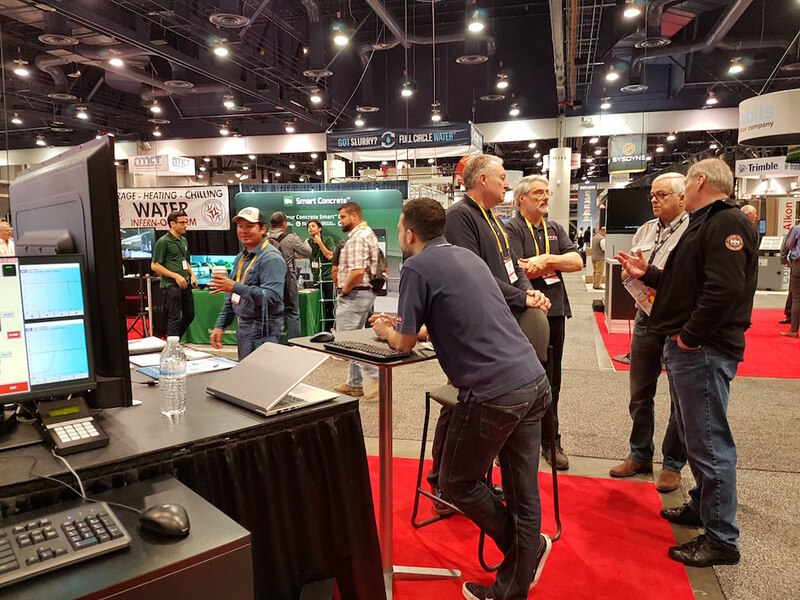 We'll be running demos of our Insight Dispatch system and how it integrates with the Ready Mix TouchBatch™. New features this year: a real-time cement inventory display from all plants, so dispatchers can re-order cement at the right moment based on the progress of ongoing orders. Personnel can also access reports or modify a mix in real time from anywhere, just using a browser, username and password. 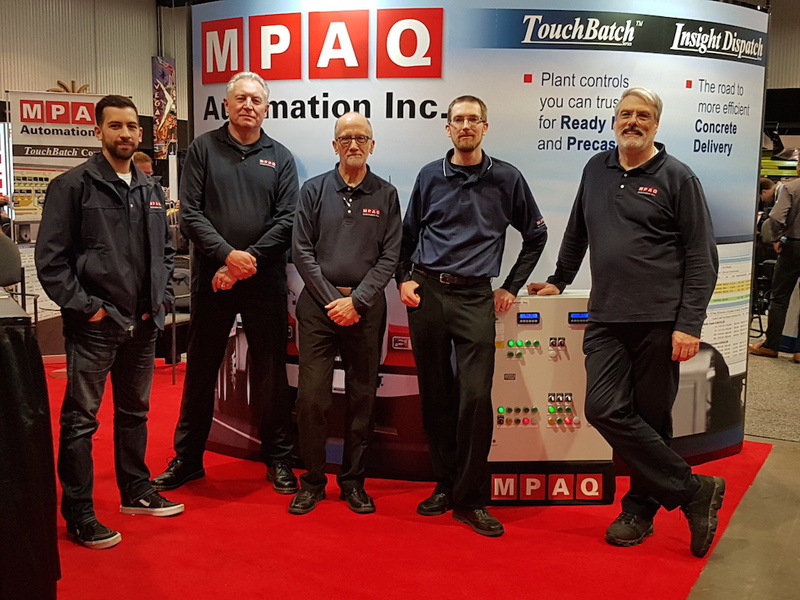 From left to right: Eric Palmitesta (Software), Tim Sattin (Production & Service Manager), Mario Palmitesta (President), Phil Nywening (Senior Tech Support), Steve Goyeche (Sales).